Kit contains 1 x Safety Helmet. 1 x Set of Clip-on Ear Defenders. (SNR 23) 1 x Chin Strap. 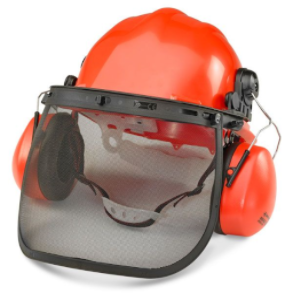 1 x Mesh Face Shield with Mount. Suitable for Forestry, Strimming, Agricultural and Chainsaw use. Conforms to the following standards.